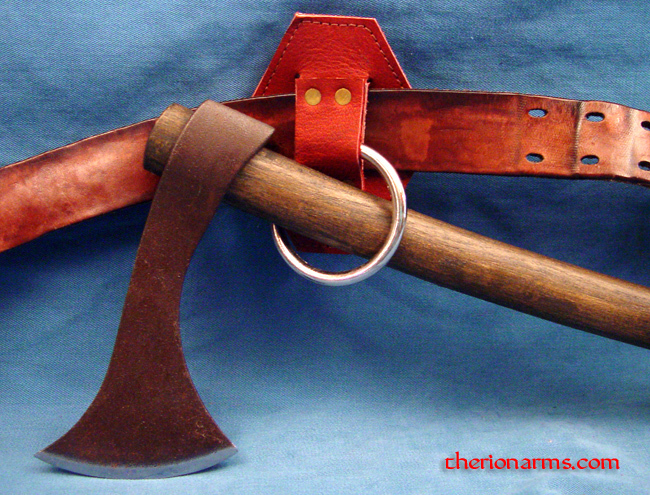 Fits up to a 2" belt to unobtrusively but securely hold a small axe, warhammer, or other sidearm. 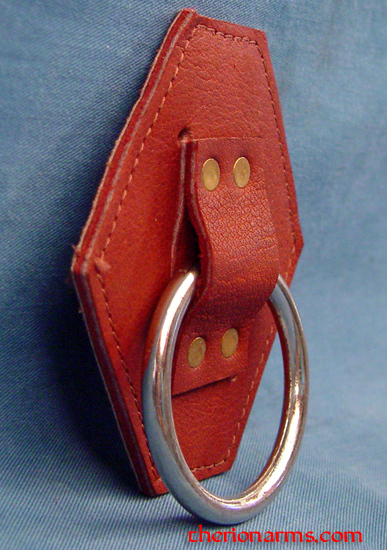 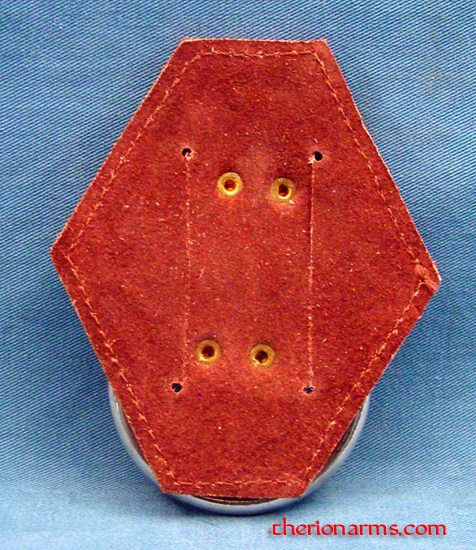 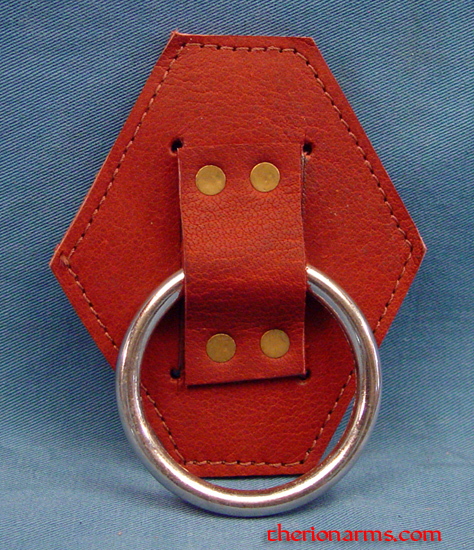 Crafted in leather with a 1/4" steel ring that fits weapon/hafts up to 2" wide. 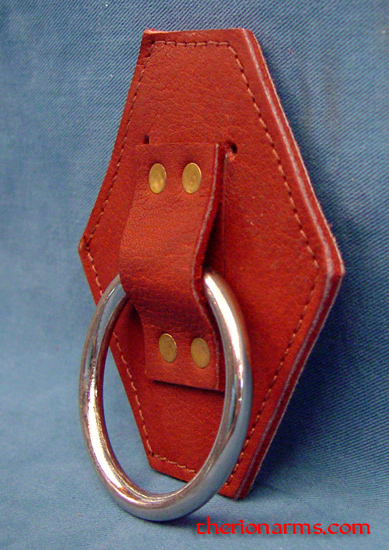 Also available is a Small weapons hanger - black.